This Thanksgiving our little family will be heading up north to Wisconsin to celebrate the holiday with our family. We have so much to be thankful for this year—our health, steady employment, a roof over our heads, food on the table, good friends, a supportive family and lots of love—these might sound like the basics, but I still feel really grateful to have all of these things in our lives. And on top of all that, I get to spend my days with the best bud I could ask for and get to share fun things like this Etsy Thanksgiving round-up with you. Life doesn’t get much better! Thanks to all of you who read our posts and share in our little slice of life. Happy Thanksgiving! Wooden Pie Carrier from PieBox // $35.00 ~ Midwest Made in Chicago! The Most Awesome Craft Fair. Ever. Ever since my first Renegade Craft Fair back in 2008, I’ve been hooked. Mini or full blown. Snow or sun. If it’s indie, crafty and handmade you can bet your Ray Ban’s that I’ll be there. I’m obsessed with Etsy (find some of our recent favs here and here) and the Renegade Craft Fair is like Etsy except with products to touch, smell and taste for, like, real. Oh, there’s also beer, food and some pretty hip people. Combine shopping with helping people in need? Pure. Genius. Here are five companies that have successfully combined the two in truly inspiring ways. All but one are based in the U.S. and they are doing so much good it’s crazy! Not only do they sell quality products, but for each one sold they donate another to a person in need—Buy One GIVE One. They are changing the way we shop, the way businesses are run and they are even changing the world (it’s true!). Check them out the next time you require some retail therapy…. 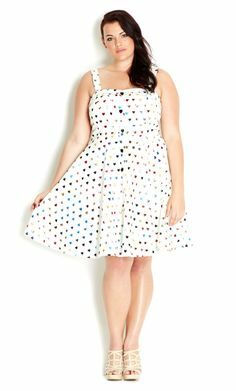 New Favorite For Curvy Clothes!